Explore the freedom of fabric collage! No seams to piece or match, no lines to trace….just free form cutting of step and window shapes. Step by step your little village will magically come to life. A layer of tulle and machine stitching will complete your fabric collage project. Finished size: 16½” square. 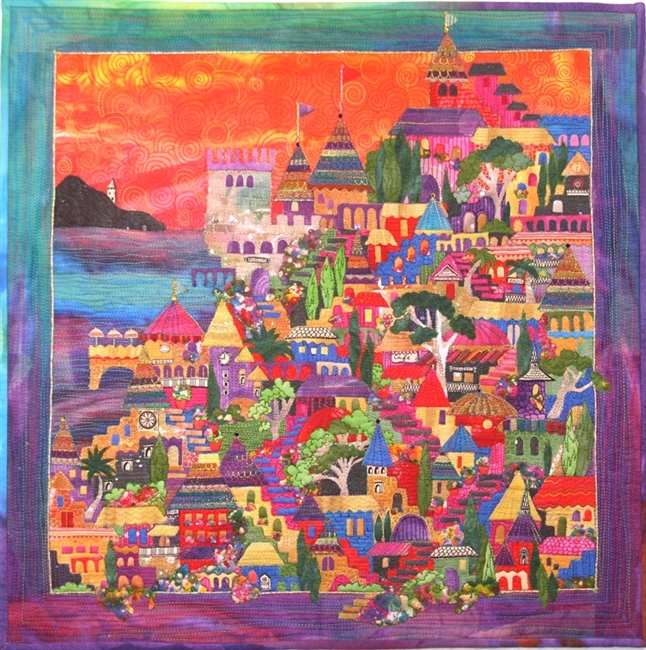 www.quilted-lizard.com and look under the “Villages Gallery” and the “Student Gallery. Will you make a spooky village? or a sun-drenched Italian Village?